In our era many have sought insight into human destructiveness through reflections grounded in the psychoanalytic tradition—thinkers such as Paul Ricoeur, M. Scott Peck, and Jeffrey Burton Russell. It has been Jungian psychoanalysis, however, which has provided the most honest, sustained, and adequate reflections upon human evil. Jung’s great contribution to the problem of evil was his recognition that the shadow—which has both personal and archetypal dimensions—is not identical with evil. 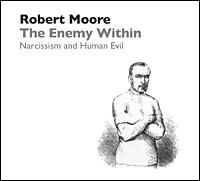 In this program, Dr. Moore analyzes contemporary Jungian understandings of evil (Jung, von Franz, Sanford) and suggests some directions for further research.